Chrissy strives to give her clients the best service and all of the energy and commitment it takes to help you to buy, sell and negotiate your Real Estate transactions. With Chrissy's creativity, knowledge and experience, you are sure to get the dedication, attention and results you deserve. Has been a Real Estate Professional since 2004. Helping people buy and sell Real Estate from commercial storage/offices, vacation condos and family homes in every price range, from starter homes to multi-million dollar homes and everything in between. Has a great working relationship and reputation for being straightforward and honest within the Sun Valley Brokerage community. Is thorough, conscientious and dedicated to her clients. She has great communication skills tailored to your needs (as much or as little as you'd like). Has expertise about the Sun Valley market and its inventory. Chrissy has lived in this beautiful Valley since 1992 and knows the area and the people who call it home. 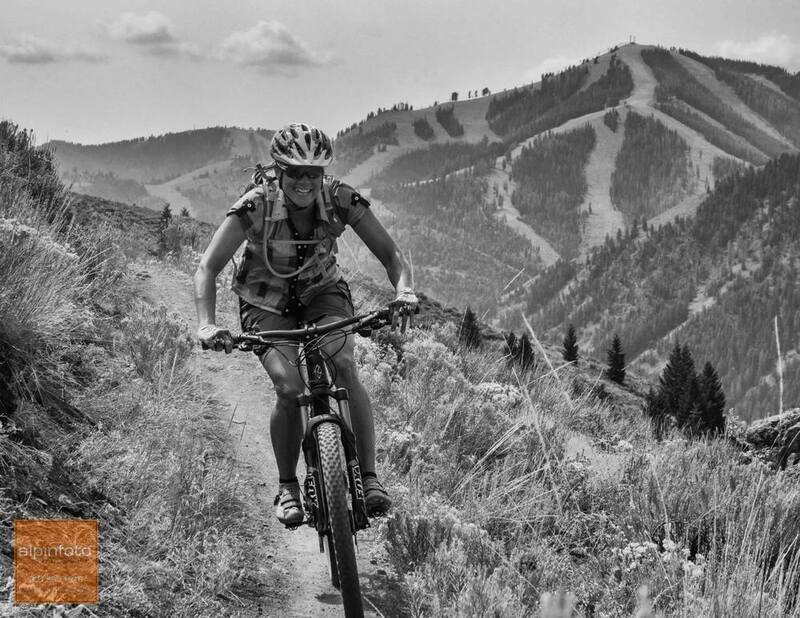 She has served on the Boards for The Pioneer Montessori School, the The Sun Valley Wellness Festival and is one of the coaches for the Wood River High School Mountain Bike Team. She and her two daughters do their very best to enjoy all of the outdoor sports and adventures that the Wood River Valley has to offer and she is teaching them to be an integral part of this wonderful community. We had a desire to purchase a second place in the Sun Valley area for several years and were referred to Chrissy to assist us with our search. For over a year she spent time locating property options for us, reviewing them with us virtually, and showing us places that seemed a good fit over several visits. Chrissy always made time for us when we were in town and never rushed us to make a decision. She seemed to know that when it was the right time and place it would fall together and that is exactly what happened. Chrissy is an absolute joy to work with. We really felt as though we were going through the process of purchasing a vacation condo with a very rational, informed and supportive friend, not a real estate agent. In addition to guiding us through the purchasing process long distance in a timely and organized manner, she was a great source of information and ideas as we got the place set up for ourselves. We continue to stay in touch with Chrissy when we visit Sun Valley. We have referred her to others and plan to use her services again in the future. "Working with Chrissy Gove has been a real pleasure! Chrissy assisted us in purchasing a wonderful new home in Lane Ranch. She is professional, thorough, smart and fun. I will user her again and again. I’m Happy to consider her a friend." "Chrissy Gove helped me when I was purchasing a business in Ketchum I don’t know what I would have done without her expertise, knowledge of the area and the business community. Chrissy really cared for me and made the process smooth and professional and she’s fun!" "Chrissy is a true real estate professional. We feel we made the right choice when we decided to have Chrissy represent us in the sale of our home." "Chrissy is highly responsive and professional. Her understanding of the market dynamics made us feel confident during the process of selling our home. She was a pleasure to work with."